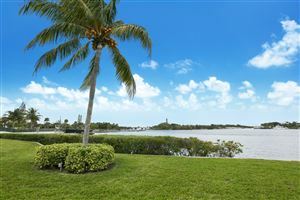 Admiral's Cove real estate is golf or waterfront real estate.. It is located off of Alternate A1A in Jupiter, Florida. Just South of Jonathan's Landing. One of the first things to notice as you enter the community, is the exquisite entrance. A multitude of swaying palm trees line the border of Admirals Cove, nicely complementing the fountains and glowing lights at night.